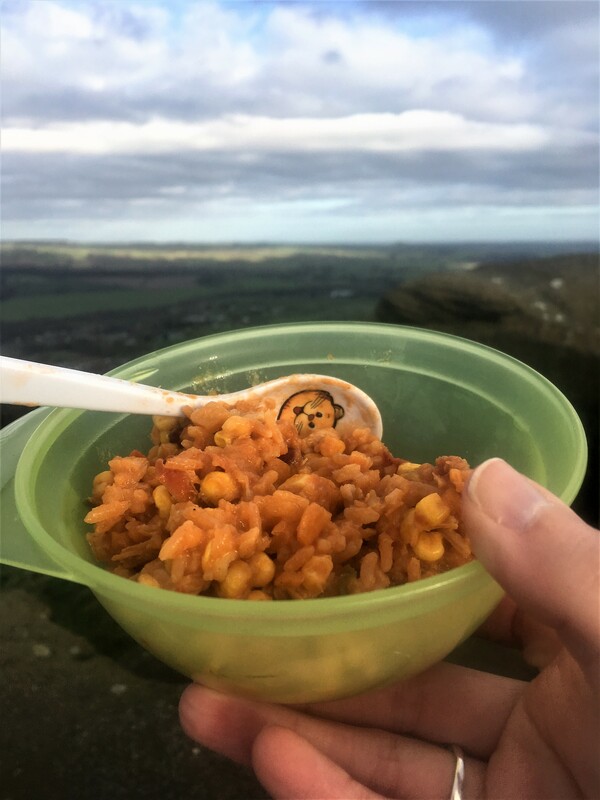 Everyone looks forward to a tasty filling lunch when you’ve been out walking all morning. 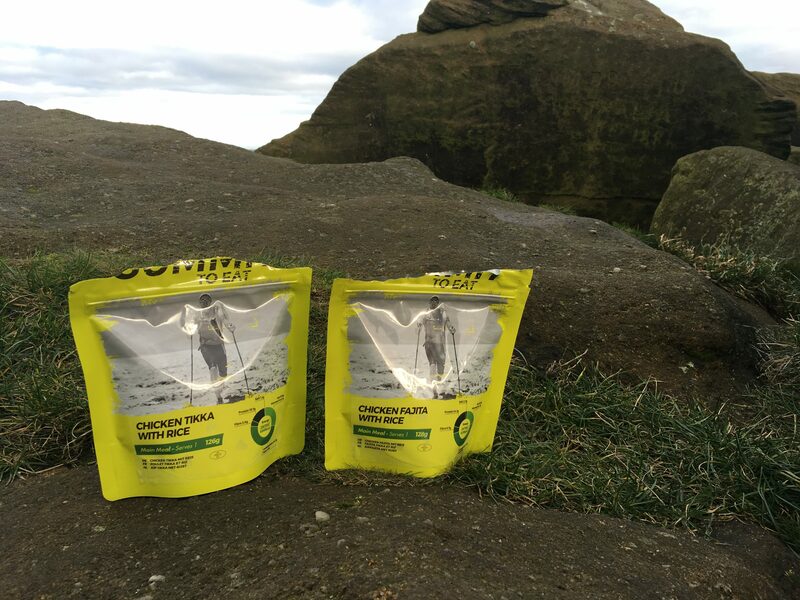 So, when the guys from Summit to Eat offered us a few pouches of their freeze dried food to try, we couldn’t wait to test them out. The range of meals are hearty and nutritiously balanced, lightweight and easy to prepare and with a wide range of breakfasts, main meals and even desserts, there’s bound to be something for everyone. I was impressed with the range of meals on offer and we chose ‘Chicken Fajita with rice’, ‘Chicken Tikka and rice’, ‘Morning Oats with Raspberry’, and ‘Custard Apple Crunch’. If you’re going away camping or to a festival you can even get a kit of meals to keep you going for a few days. But now for the testing. Would the meals live up to their tasty descriptions? We took the kids out on a chilly winter walk with the promise of ‘lunch out’. 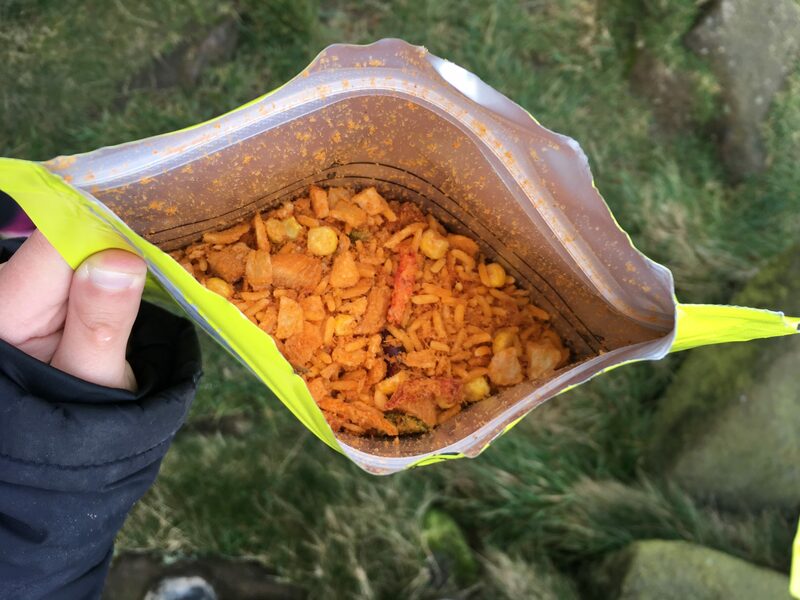 The meals are easy to prepare by just ripping off the top, taking out the oxygen absorber and filling with hot boiling water to the level indicator inside the packet. You then reseal the packet and wait just under ten minutes and your meal is ready. 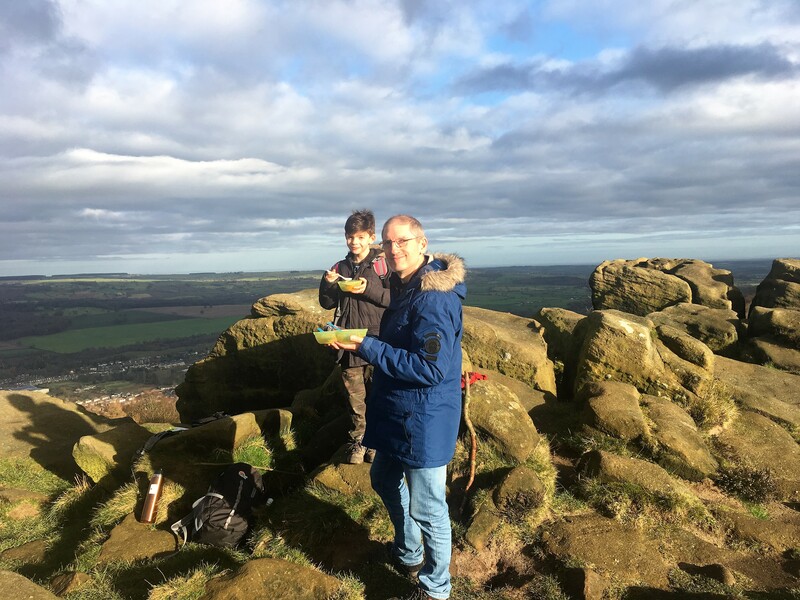 We walked to the top of Otley Chevin, so whilst the kids were busy rock jumping and spotting the planes across the valley, our meals were working their magic. I had taken some flasks of boiling water, a mini stove is on my Christmas list(! ), so I was a bit worried that it might not work. However, I was pleasantly surprised and we had a warm meal. The portions are generous, once prepared the ‘Chicken Tikka with rice’ is 476g and although we shared the main meals between us everyone had a big bowl full. The kids didn’t want to miss out on the tasting after all! My favourite was the ‘Chicken Fajita with Rice’, I love anything Mexican inspired and I wasn’t disappointed on the flavour and the pieces of chicken and vegetables were easily identifiable. My Son would have happily polished off the lot of this pouch and announced it was delicious. 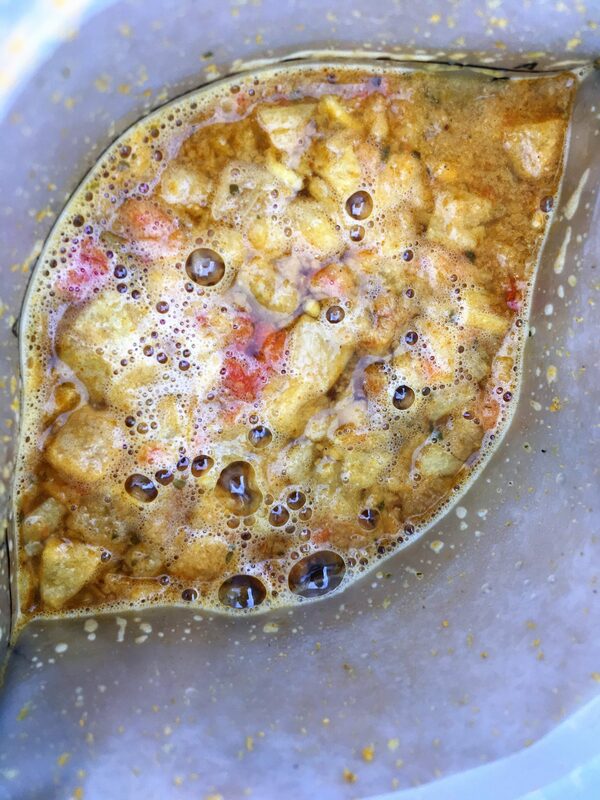 My Daughter and Hubby preferred the ‘Chicken tikka with rice’ and everyone agreed that we were very impressed with the flavours and how tasty the meals were. With full tummies it was time for some more adventures. I’ve squirreled away the breakfast and dessert pouches for another day, when I’m out my own and can enjoy the full pouch to myself! Summit to Eat meal pouches start from £4.50. I was sent 4 pouches for the purpose of this review; however all views are honest and my own.